While prepping for today’s TV segment on paper casting I ran into a little snag. I was planning to use cotton linters to make paper pulp for casting, but couldn’t find the product on the fly at the local art supply stores here in West Michigan. I didn’t have time to order online, so I had to improvise… which often turns out to be more fun than my original plan. First I made some paper pulp out of little bits of recycled paper but didn’t like how it set up in the cookie molds, so I moved on to facial tissue. 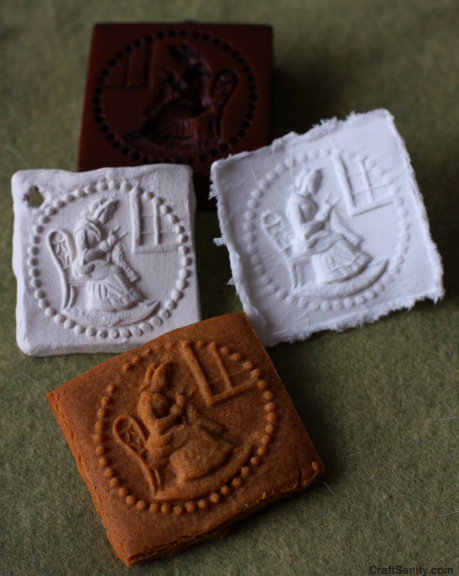 I had read about people using tissue and rubber stamps for paper casting and decided to try it with the lovely sample cookie molds sent to me by House on the Hill, a company that sells new and reproduction molds, many that are replicas of antique carvings with some dating back to the 1600s. So I ripped a piece of facial tissue into four equal pieces. (I used Kleenex brand.) I placed the first piece on top of the cookie mold and strayed it with water. Then I used a paint brush to push the tissue into all the crevasses of the mold. I kept adding layers and spraying the tissue with a spray bottle of water as needed. I find that about seven or eight layers work well for shallow molds. For the deeper molds, I like to add about double that amount so the design will hold its shape when the tissue dries. 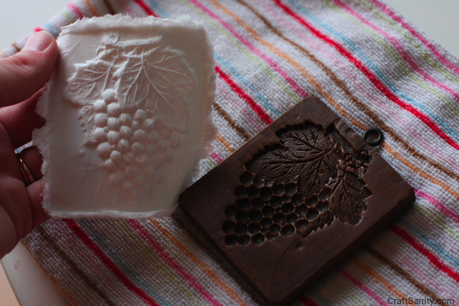 I let the grape casting dry for a bit. (You can use a hair dryer to speed along this process.) Then I used markers to color the design. The castings are lovely plain white, too, so adding color isn’t necessary. 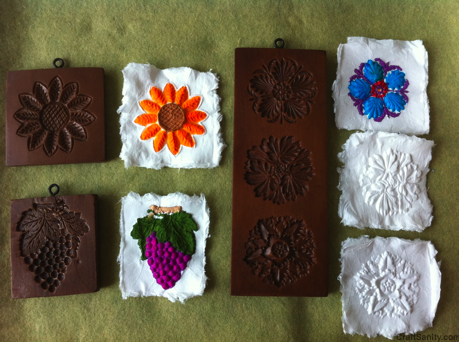 These tissue castings can be glued to card stock or decorative paper backings. Punch a hole, add a ribbon or yarn hanger and you have an ornament for the tree or tag for a gift. The best part of this project is that it’s fun for all ages. It was a hit with my 5- and 6-year-old daughters AND the green room crowd at the TV studio. Who knew crafting with facial tissue could be so fun?! 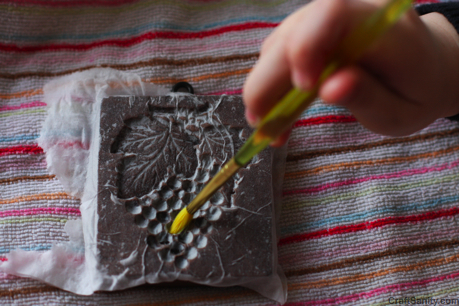 I’m a big fan of House and the Hill molds and always looking for new crafty ways to use them. I featured the “hand work” mold below in the gift guide in the first issue of CraftSanity Magazine. I recognize that most people are not going to run out and buy a dozen molds to do this project before Christmas. 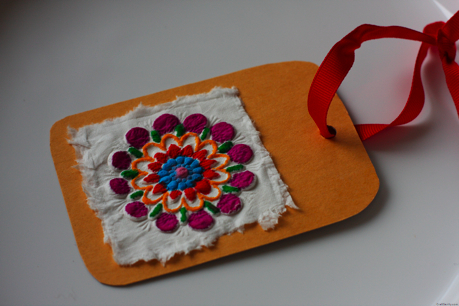 The great thing is that you can use your current stash of cookie cutters and rubber stamps to try this technique. (Just be sure to clean the ink off your stamps first!) So, give it a whirl with what you have around the house. 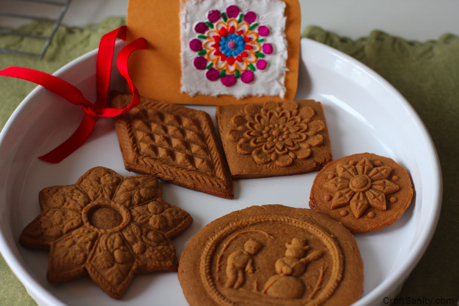 If you get into it, add a new cookie mold to your Christmas list. Briar Rose Fibers Discount Offer Extended to CraftSanity Readers! Howdy I am so glad I found your website, I really found you by error, while I was browsing on Aol for something else, Nonetheless I am here now and would just like to say thanks a lot for a incredible post and a all round enjoyable blog (I also love the theme/design), I donít have time to read through it all at the minute but I have saved it and also included your RSS feeds, so when I have time I will be back to read more, Please do keep up the superb job. It’s a shame you don’t have a donate button! I’d certainly donate to this outstanding blog! I suppose for now i’ll settle for book-marking and adding your RSS feed to my Google account. I look forward to brand new updates and will talk about this website with my Facebook group. Talk soon!